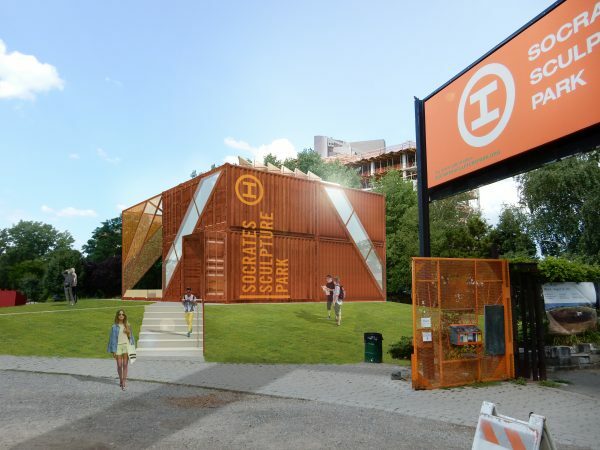 Socrates Sculpture Park is at last advancing on its longtime plans to bring its first permanent installation on site—staff office spaces made out of shipping containers. Plans were filed last week for a two-story structure at the park, situated at the intersection of Vernon Boulevard and Broadway, in a project that comes more than two years after the space first announced its idea for offices there. The structure, according to the Jan. 10 filings by NYC Parks, totals 2,640 square feet and includes space for an exhibition hall on the ground floor, with office spaces on the second. Socrates Sculpture Park personnel spoke to the project, known as “The Cubes,” during a 2016 Community Board 1 meeting, noting that they were outgrowing their rented offices across the street and desired something more permanent. “We are beginning to expand beyond the infrastructure the park can really accommodate,” said John Hatfield, the executive director of Socrates Sculpture Park, at the meeting. As for the containers, Hatfield said the idea for its use came after the Whitney Museum donated a freestanding 720 square foot studio made from multiple shipping containers to the park two years prior. The park partnered with LOT-EK, which designed the Whitney’s freestanding module, to create a new container building design with an additional 12 shipping containers that also incorporates the donated structure. 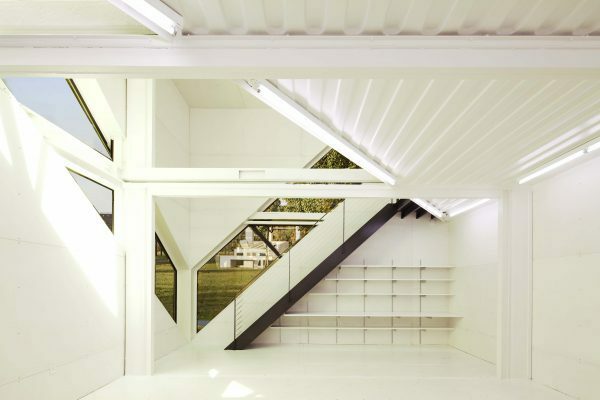 The design, in addition, features diagonal bands of glass along the containers that allow for natural light to come in, and for park-goers to see through the building’s ground-floor interior gallery space. Solar-paneled roofs will also be incorporated into the building. The building ultimately provides for 1,200 square feet of on-site workspace, with its year-round programming featuring art education, children’s events, exhibits and more to be set up at the first-floor space spanning 960 square feet. A 480 square-foot shaded deck area for outdoor classes and programming also forms part of the project. “We are thrilled to create a new home that will expand our programmatic possibilities and secure our future as an arts organization in New York City,” Hatfield said in a release. The container building marks the first permanent structure on site in the park’s 30-year history. The project, according to Socrates Sculpture Park, will soon embark on its nine-month procurement phase, with groundbreaking anticipated before the end of the year. Great that they are finally getting some office/interior space, it is a wonder how they survived with the facilities that they have now. It DOES look like it is going to get cold in the winter (and really hot in the summer) in those shipping containers unless they can do something regarding insulation.